POSGuys is confident in this product’s performance, so much so that we arranged an expedited return program especially for it. Shop, buy, and return with confidence. All Fast Track Returns must be initiated within 20 days of the purchase date. Fast Track Returns are available for specific products only. Fast Track Return is only applicable to the first Fast Track Return product purchased. Additional products will be covered by our traditional return policy. Product must be returned in “new” condition with all original packaging and accessories. Free ground return shipping is provided. Only available for customers in the Continental United States. Why did we negotiate Fast Track Returns? To highlight excellent products that aren’t well known. Why aren’t other products fast tracked? 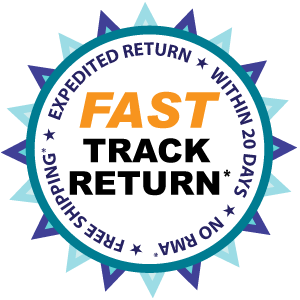 Fast Track Return Products require a special arrangement with manufacturers in order to expedite the return process. Why do I only have 20 days to return the product? Per the special agreement with the manufacturer's, the 20 day window allows you to test the product and still return the product to the manufacturer within an agreeable timeframe. What does “first purchase” mean? If you were to buy 3 of the Fast Track Return products, only one of those products would be eligible for the Fast Track Return process, the other products would need to follow our traditional return policy. As soon as we receive and inspect your return, the refund will be issued. How is this different from your standard return policy? 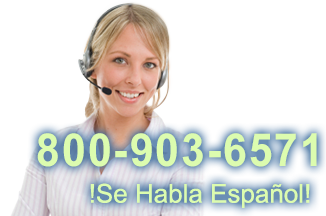 These products are preauthorized for returns, meaning all you need to do is make one phone call to us, and your return will be initiated. Fast Track Return products also have any costs that may be associated with returns covered.